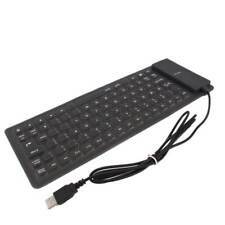 Slim Wireless Bluetooth 78 Key Compact Thin Keyboard for iMac iPad Android Phone Tablet PC Black. Slim Wireless Bluetooth Keyboard is a perfect choice for iMac, iPad Android Phone Tablet users to carry it out. NEW ACER ASPIRE 5250 5251 5253 5333 5349 5552 5553 5560 5625 5733 LAPTOP KEYBOARD. SECURELY BOXED. Téléc ommande sans fil pour présentation Powerpoint. 1 Pile AAA / LR04. Une participation de 0. Guadeloupe, Guyane Française, La Réunion, Martinique, Mayotte, Monaco, Saint - Barthélemy, Saint-Martin et Saint-Pierre-et-Miquelon. 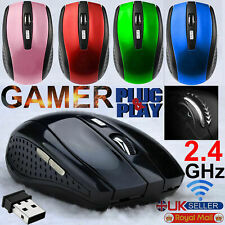 Mouse wireless senza fili 2.4 GHZ. Ultra sottile. ricevitore colore nero o bianco dipende dalle forniture. Colori Disponibili: BIANCO. CORRIERE ESPRESSO. Use this foot switch to replace any keyboard shortcuts or key combinations to control your computer easily and quickly.It can be used for playing games, factory testing, instrument controlling, etc.Use USB foot switch to control your computer with any of your feet.It is equivalent to a standard HID USB keyboard.Pre-program key or key functions on the foot pedal by software.Allow to connect more than one switch to your computer by USB ports. you can achieve multi key shortcuts functionCompatible with Dos / Windows 2000 / XP / Vista/Win 7, MAC, LinuxDimension (L x W x H): Approx. 4 x 2.5 x 1.5 inch / 10 x 6 x 4 cmCable Length: Approx. 67 inch / 170 cmMaterial: Plastic Brand Unbranded MPN Does not apply UPC 4894462653661. Maße: ca. 28 x 28,5 x 6,5 mm.Kapazität: 230 mAh. Hochwertige Zellen mit langer Lebensdauer. mit maximal möglichen Kapazität bei diesem Akku-Typ! ersetzt den Originalakku von o.g. Modellen. mit Schutz gegen Überladung/Überhitzung/Kurzschluß. MINI AZERTY AVEC touches de CONTRÔLE MULTIMÉDIA. Connexion: Sans Fil. Plug&Play : Il n'est pas nécessaire d'installer un logiciel. Il y a USB récepteur sur le dos de la clavier. 1X Clavier. Connexion fréquence: 2.4 GHz. Ergonomic design:The ultra mini size and style allows you to take it anywhere. 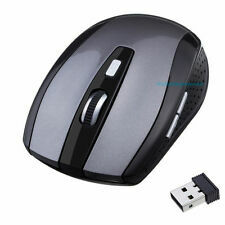 Wide compatibility:The mouse is compatible with all kinds of systems such as window, MSC, OS, Android. Plug and play,it's very convenient. Retractable cable: Ideal design for travel Colour - Completely transparent showing inner workings Features Red LED light inside that glows when in use. CablesOnline Part Number: MS-B01-5. Give your older mouse a boost by replacing its ball. 5x Mouse balls. NEW ACER ASPIRE 5742 5336 5551 5810 5810T 5536 5738 5740 7551 LAPTOP KEYBOARD. SECURELY BOXED. Name: USB foot switch Type: FS3-PColor: black Switch mode: plastic triple foot switch Size: about 376 x 121 x 43 mm Package size: about 402 x 160 x 51 mmDescription of products:The USB foot switch is an auxiliary equipment that connects with computer. By using special software to specify any key or combination key, you can control the key with foot switch. When you are inconvenient or too busy, you can achieve the function of manual keyboard operation or simulating mouse with foot switch.HID USB metal foot switch. Convenient to use.A computer can connect with several foot switches.The system support: Provide defined software as Windows key. After setup, it can be applied to:Dos/Win 2000/Win XP/Win Vista/Win 7/Linux/MAC.Accessory: 1 x Plastic triple foot switc. Non-Transparent Keyboard Stickers - Gives your Keyboard a fresh new look. - High Quality - suitable for any laptop, PC keyboard Size 13mm x 11mm ( H, W). Ergonomically designed, comfort grip. • Micro-receiver. • Decent and modern design. • Including Scroll Wheel, Page Forward and Page Backward buttons for easy Internet Surfing. • Note: Due to the difference between different monitors, the picture may not reflect the actual color of the item. Arabic Keyboard Sticker White letters No reflection Best Quality transparent! Arabic white Transparent Sticker for Black Keyboard. To apply stickers to your keyboard, first peel off the background sticker surrounding the keys. Our white option pairs well with a black keyboard. Il kit comprende una tastiera, un mouse, un ricevitore wireless. 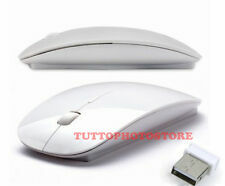 KIT MINI TASTIERA E MOUSE WIRELESS PER PC 2.4GHz WIFI KEYBOARD USB SENZA FILI. 1 Mouse wireless. 1 Tastiera wireless. Risoluzione mouse: 1000. This is our SOP, for us to be certain and for record purposes. OEM Charging Port Flex Cable For HTC Incredible 2 ADR6350, Incredible S PG32130. We might require you to send us photo/s of the item received and also your original item so we can compare and conduct necessary actions. Type Creative Pen Tablet. 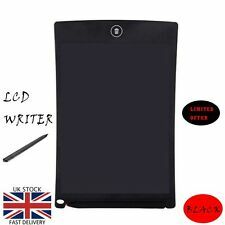 Tablet Size 210 x 146 x 8.7mm. Active Area Size 152 x 95mm. Color Black/Red. EAN Does Not Apply. Resolution: 1200/1600/2400/3600/5500 DPI. Wired style, more stable to use. 1 x Wired Gaming Mouse. Port: USB 2.0. Unique alternating light effect makes this mouse different from others. Interface Type: USB. The unique design saves battery life: curve to turn on and flatten to turn off. 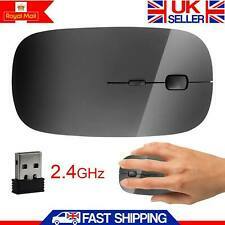 USB 2.4 GHz wireless foldable mouse. 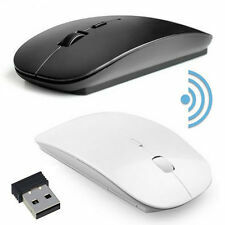 Type: 2.4Ghz Wireless,Touch Wireless mouse. 1 X Touch Mouse. Working Current: Less than equal 100MA. Our stickers are an easy and affordable option to add and customize other languages unto a keyboard without purchasing a new one. Black opaque background. 48x individual key stickers. High quality thick stickers with textured surface. This unifying receiver is only compatible with Logitech mouse and keyboard that have a unifying logo. Logitech Unifying USB Wireless Receiver. Download Unifying software to quickly add all of your devices to one receiver. It\'s got a red laser pointer, is easy to see against most backgrounds and projection surfaces, you can be sure they won\'t miss the point. Red laser pointer with LED indicator, is easy to see against most backgrounds and projection surfaces. Thai Transparent Keyboard Sticker White letters Best Quality Guaranteed! Thai White Transparent Sticker for Black Keyboard. To apply stickers to your keyboard, first peel off the background sticker surrounding the keys. Our white option pairs well with a black keyboard. Then begin peeling the stickers, preferably using a flat and thin object to prevent fingerprints, and apply! This is a portable finger hand-held 4D Usb mini trackball mouse with off-table design for free and comfortable operation. It is ideal for laptop users.Specifications:Compatible with Windows95/ 98/ 2000/ ME/ XP/ NTUnit Dimensions: 3.15 x 2.05 x 1.97 inches (8 x 5.2 x 5cm)USB Cord Length: 73inches (186cm)Color : BlackHow to Use:Put your index or middle finger into the hole of this mouse.Control the track ball for moving cursor and press the right and left button with your thumbWhen using "Drag and Go" function, press the button in the hole of the mouse that has the same function as the left button of the common mouseUse the left button to lock the screen and then you can control the track ball to roll your screen freelyPackage Includes:1 x Hand Held 4D Usb Mini. US enter key. UK ISO LEFT SHIFT. [FLIRC OFFICIAL] USB Universal Remote Control Receiver for Media Centers - SALE!